In April, I discussed the oncoming tidal wave of autonomous vehicle technology and its impact on traditional mass transit systems. I made the case for municipalities to embrace the innovations being made in transportation rather than continuing to invest in traditional mass transit infrastructure. It is increasingly apparent that these transit systems will become obsolete as autonomous vehicle options develop into viable alternatives. Fast-forward six months to October. 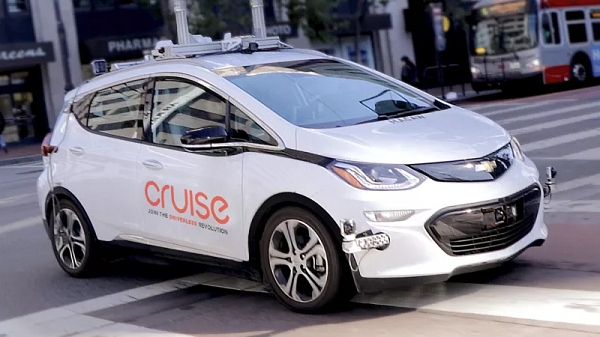 GM has requested regulatory permission for as early as 2019, to deploy vehicles without manual controls such as steering wheels and pedals and Honda recently announced its $2.75 billion investment into GM’s self-driving vehicle startup, Cruise. The 12-year deal includes an immediate $750 million and another $2 billion for development and deployment as agreed upon by GM and Honda. Another major collaboration on self-driving cars is Toyota and Uber. Toyota will invest $500 million in Uber Technologies for the launch of Uber’s ride-hailing network in 2021. Do you think the driverless wave will become reality in just a few short months? Years? Or, are we still decades away? Let us know what you think in the survey below, we'll post the results on the November blog. Click here if the embedded survey isn't working. It’s so simple. As a tenant, you have rights. Know these rights and exercise them – because not doing so could cost you dearly. At Avison Young, we advise on both sides of the coin – for landlords and for tenants - and will always seek the best deal possible for our client in each case. The U.K. lease advisory team at Avison Young, which operates nationally, recently acted for a landlord client on a lease renewal in the Midlands. As the tenant failed to serve a formal notice – in order to protect the tenant’s right to a new lease when the original lease expired – the landlord was able to secure a new tenancy agreement and, therefore, pocket an extra £250,000 over the length of the lease. Of course, that meant the tenant in question was now out of pocket to that tune. The tenant lost its negotiating position through not exercising its right to a new lease. If the tenant no longer wanted to occupy the premises, that would have been absolutely fine. However, the tenant was over a barrel, so to speak. It was crucial for the tenant to stay put. As a furnishing company using a large warehouse, it did not want to leave. Therefore, when the landlord raised the rent, the tenant had no choice but to accept the terms. If the tenant had planned early and exercised its right to a new lease and sought professional advice, it could have negotiated a better deal. Property costs are still the largest outlay for businesses after staff costs. Taking on or dismissing a staff member is a decision not taken lightly, and this should always be the case for your property requirements. It is advisable to diarise important dates in a lease contract and seek guidance early from a professional who can advise on the rights of both the landlord and tenant to avoid sticky situations – and ultimately, improve your firm’s bottom line. Capital continues to flow into global commercial real estate markets, inhibited only by the scarcity of available product for sale. Yields on commercial real estate are still attractive when compared with alternative investments; however, limited supply and cap-rate compression are leading some investors to seek opportunities outside their traditional parameters. https://avisonyoung.uberflip.com/i/1034498-ayfall18namericaeuropeinvestmentreviewoct3-18final The report covers commercial real estate investment conditions in 59 markets in six countries on two continents. With prime assets delivering slim returns, there’s a real quest for consistent growth across countries and asset types. All of these dynamics are occurring against a backdrop of ongoing geopolitical concerns, including the negotiations leading up to the new trade agreement between the U.S., Mexico and Canada, trade-war tensions in Asia-Pacific and Brexit in the U.K., not to mention the prospect of higher long-term interest rates and the impact on asset pricing – all of which continue to weigh on the minds of investors. Across Germany’s five major markets, office assets once again attracted the most capital as already tight capitalization rates continued to compress. Frankfurt posted the country’s largest single transaction of the first half, while in Berlin, alternative asset types gained popularity with investors. In Romania, the capital city of Bucharest remains in top position with positive fundamentals and improving liquidity, and still offers favourable returns compared with other countries in the region. While concerns over rising interest rates and their impact on values remain, we don’t expect to see a material decline in investor appetite during the second half of 2018.